These are a great alternative to traditional mac and cheese.... No one will know there is cauliflower in it and I lays love finding ways to add veggies in whatever I make. Preheat the oven at 400F and spray a 9"x13" baking dish. Cook the pasta according to package instruction. When cooked, drain and combine with the caulirice. Heat up the olive oil in a pan and cook the onion and garlic for a couple of minutes. Add flour and cook for another minute. Whisk in the milk raising the heat to medium and keep on stirring until it thickens ( 3-5 minutes). Remove from the heat and add 1 cup of cheese and mix until smooth. Combine the sauce with the pasta and caulirice and transfer to the greased dish. Top with breadcrumbs and remaining cheese. 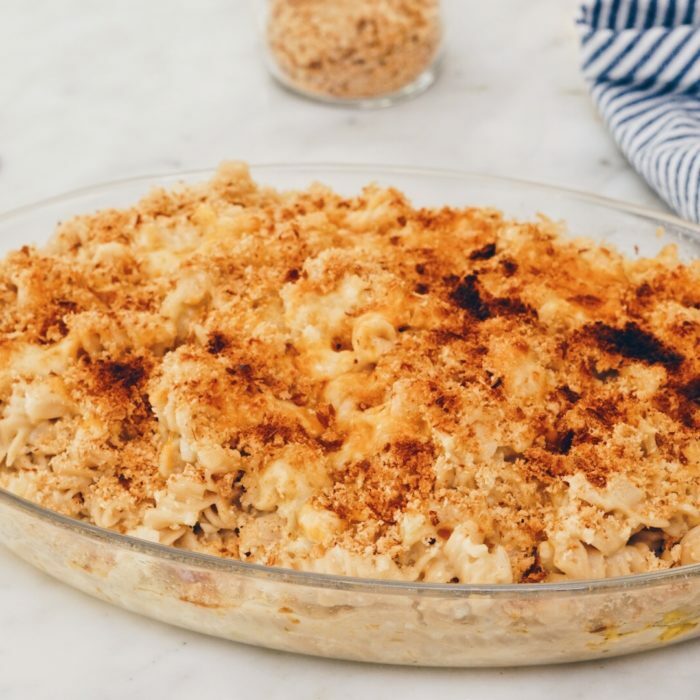 Bake for 15-20 minutes or until cheese is bubbly and breadcrumbs golden brown.